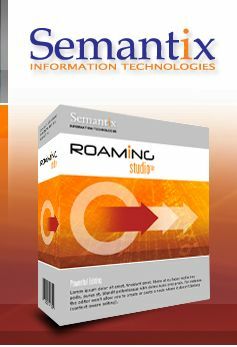 30-day trial version of Roaming Studio, the premium TAP3 editor. This package doesn't include .NET 3.5. If you don't have .NET 3.5 installed in your computer, please download the package that contains it from Microsoft. A collection of lightweight, server-side modules for processing NRTRDE files. With the NRTRDE pack you can create NRTRDE files from TAP3 files (supported releases 3.1. to 3.11), validate your NRTRDE files based on TD.35 validation specifications, and convert NRTRDE files into/from XML and ASCII file formats. This package contains a sampling of test cases for each TAP3 release, carefully designed to trigger individual errors described by the TD57 standards. 30-day trial version for XML2TAP converter. Reads any XML file generated from TAP2XML and creates the corresponding TAP file. In conjunction with TAP2XML and a manual or automatic editing process, can be used to perform arbitrary changes inside TAP files. 30-day trial version for TAPx2TAPy. Converts a file of any TAP release to any other TAP release. Supports all TAP releases (3.1 - 3.11), and allows configuration of conversion parameters through an XML file. 30-day trial version of TAP_Validator. Performs the complete set of TD57 validations on a TAP file. Outputs warnings, severe and fatal errors with additional details on where they happened in the file. Can be used to clear up severely errored calls from the file, generate reports in ASCII and RTF, etc. Can also be configured to perform with modified validation rules. 30-day trial version of TAP_Splitter. Performs call extraction based on an arbitraty complex query that runs on the input TAP file. Can be used to extract (or filter out) calls belonging to specific types, specific ranges, as well as calls that exhibit specific field-value combinations (through boolean expressions). 30-day trial version of TAP_Merger. Merges an arbitrary number of TAP files of the same release (e.g. 3.10) into one big TAP file (of the same release). Automatically handles lookup tables and lookup codes. 30-day trial version of TAP_Anonymizer. Converts TAP files to anonymized TAP files, modifying fields to perform arbitraty levels of anonymization. Can be tuned through a configuration XML file to specify what fields to change and how to change them. 30-day trial version for TAP2XML converter. Generates an easy to parse XML file from any TAP file. In conjunction with XML2TAP and a manual (or automatic) editing process, can be used to perform arbitraty changes inside TAP files. 30-day trial version for TAP2ASCII converter. Includes complete source code for a TAP2ASCII module that creates a simple ASCII format conveying Mobile Originated Call information. Also includes a complete code generator for creating the boilerplate of any new TAP2ASCII module, based on an XML description of the output format. 30-day trial version for ASCII2TAP converter. Includes complete source code for an ASCII2TAP module that handles a simple ASCII format conveying Mobile Originated Call information. Also includes a complete code generator for creating the boilerplate of any new ASCII2TAP module, based on an XML description of the input format.